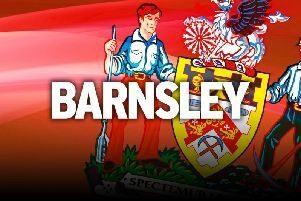 Barnsley skipper Andy Yiadom has backed the misfiring Reds to stay up this season. The Reds are in the middle of one of the club’s worst runs after winning just twice in their last 24 games. And that’s the form which sees the South Yorkshire side hovering above the Championship relegation zone with time running out to save their poor season. Only goal difference stands between them and the drop back to League One. “We’re not going down,” stressed Yiadom. “We’re going to do everything in our power to keep us up. “I’m just really focused on keeping Barnsley up, We’re 100 per cent confident we’ll stay up. “I remember being at Barnet when we got relegated and it’s not a nice feeling at all. That’s something that’s not going to happen again. “I was a lot younger there, but saw how the older heads got the team motivated. That’s something I can try and do here. Defender Yiadom is out of contract at the end of the season and was wanted by both Swansea City and Huddersfield Town last summer. Former boss Paul Heckingbottom is also keen on a reunion with the Ghanaian international at new club Leeds United. The ambitious 26-year-old has played down talk of a move away and wants to make sure he helps keep Barnsley up before deciding on his future. “All that matters is keeping this football team up,” added Yiadom. “We really need to get a win. We’ll do anything to get three points. “At this stage of the season form goes out of the window.